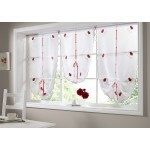 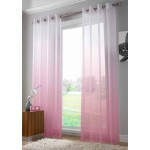 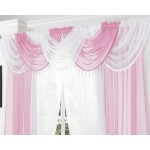 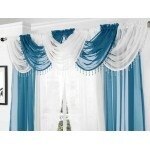 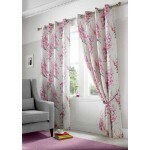 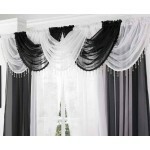 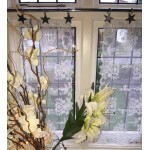 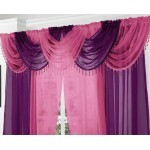 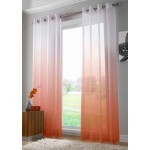 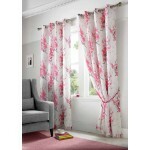 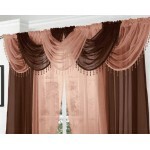 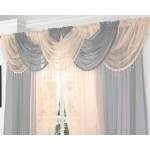 Superb range of stylish voile curtain panels in wide range of brilliant fashion colours. 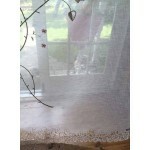 Voile ringtop curtain panel graduated colour Single panel Size: 58" x 90" 100% polyes..
plain voile edged with a dainty Macrame shell design edging curtain pair, valance is attach..
plain voile edged with a dainty Macrame shell design, voile panel includes tie-back. 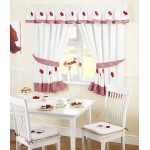 matching swa..
Poppies kitchen curtain range, embroidered red poppies with red gingham check border ..
Poppies kitchen tie blind embroidered red poppies with red ribbon ties Size: 27" x 54" ..
Portia Net Panel Cream linen effect voile eyelet panel with embroidered trailing pink flowers.. 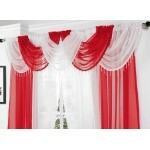 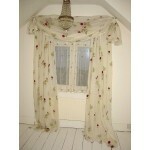 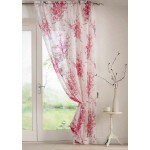 Romantic red roses on lined voile curtains. 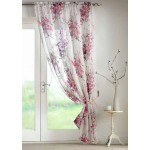 Very Cath Kidston and perfect for the retro floral de..
Voile floral linen look ring top eyelet invdividual curtain panel 100% polyester ..
Voile floral printed ring top eyelet fully lined curtain pair 100% polyester ..
Voile swag for creating dramatic window treatments with crystal beaded braiding Colours avail..